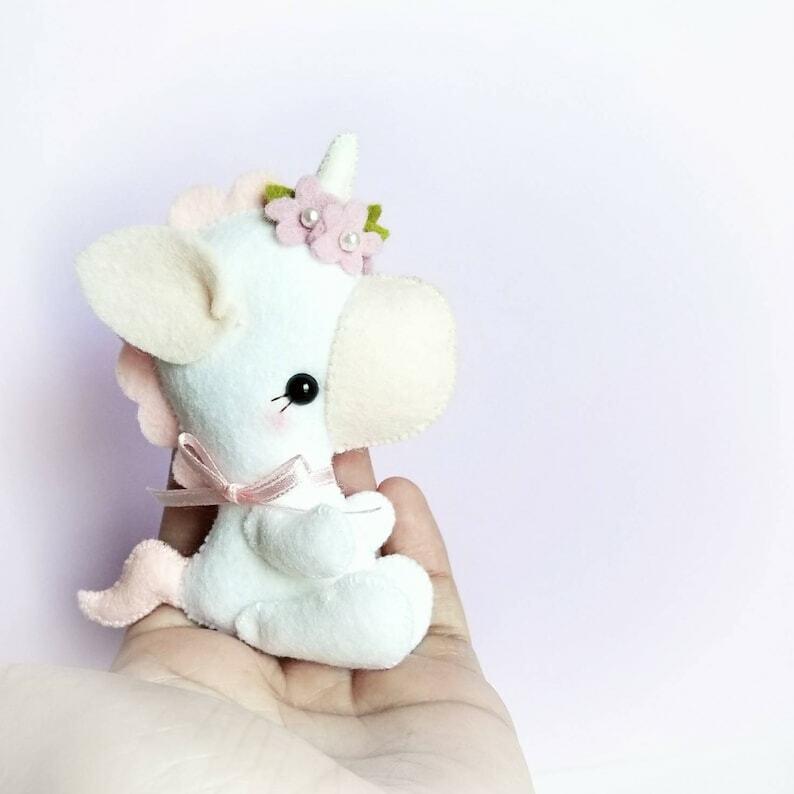 This adorable UNICORN is just perfect as part of a cute baby mobile or as a present for those Unicorn lovers out there!! As always quick, easy, and fun to make. 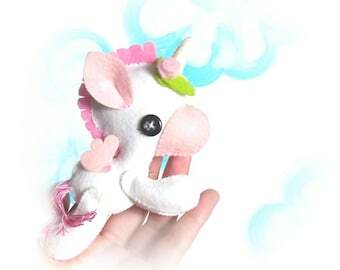 This PDF document will give you instructions and patterns to hand-sew a lovely 4-inch UNICORN. Love it! Excited to try sewing this. Thank you. Super! Des patrons de qualités. Je recommande, merci!